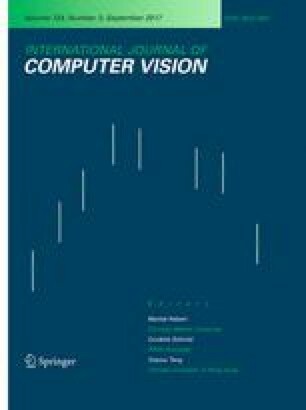 This paper introduces a multi-scale theory of piecewise image modelling, called the scale-sets theory, and which can be regarded as a region-oriented scale-space theory. The first part of the paper studies the general structure of a geometrically unbiased region-oriented multi-scale image description and introduces the scale-sets representation, a representation which allows to handle such a description exactly. The second part of the paper deals with the way scale-sets image analyses can be built according to an energy minimization principle. We consider a rather general formulation of the partitioning problem which involves minimizing a two-term-based energy, of the form λ C + D, where D is a goodness-of-fit term and C is a regularization term. We describe the way such energies arise from basic principles of approximate modelling and we relate them to operational rate/distorsion problems involved in lossy compression problems. We then show that an important subset of these energies constitutes a class of multi-scale energies in that the minimal cut of a hierarchy gets coarser and coarser as parameter λ increases. This allows us to devise a fast dynamic-programming procedure to find the complete scale-sets representation of this family of minimal cuts. Considering then the construction of the hierarchy from which the minimal cuts are extracted, we end up with an exact and parameter-free algorithm to build scale-sets image descriptions whose sections constitute a monotone sequence of upward global minima of a multi-scale energy, which is called the “scale climbing” algorithm. This algorithm can be viewed as a continuation method along the scale dimension or as a minimum pursuit along the operational rate/distorsion curve. Furthermore, the solution verifies a linear scale invariance property which allows to completely postpone the tuning of the scale parameter to a subsequent stage. For computational reasons, the scale climbing algorithm is approximated by a pair-wise region merging scheme: however the principal properties of the solutions are kept. Some results obtained with Mumford-Shah’s piece-wise constant model and a variant are provided and different applications of the proposed multi-scale analyses are finally sketched.